Arla has announced its British owners will receive £31m as their 2016 yearend bonus. The payment will be made as a cash bonus on Friday (March 10). This year, the 13th payment is equivalent to an average of almost £9,000 for each farmer. The cooperative said £7 million of the windfall would be invested into farmer’s individual savings accounts to build up a lump sum should they decide to leave. The 13th payment is equally distributed to all farmer owners proportionately to the amount of milk they supply rather than based on their equity investment in Arla. Farmer and Arla Foods board director, Jonathan Ovens, said: “The 13th payment is one of many important benefits for farmer owners like me and is particularly welcome as we begin to come out of a difficult year. “It enables us to invest in our farms, and also save for the future,” he said. “It’s an annual benefit and a return on my investment that I couldn’t achieve elsewhere. It’s good to work together with Arla to back British dairy farming. NFU dairy board chairman Michael Oakes said the payment came at a ‘welcome time’ but it should not be called a bonus. "Arla’s monthly headline price includes the 13th payment so our members have been paying into this every month last year,” he said. “The 13th payment is something Arla members understand and we accept that part of our investment is kept within the co-operative for future investment. 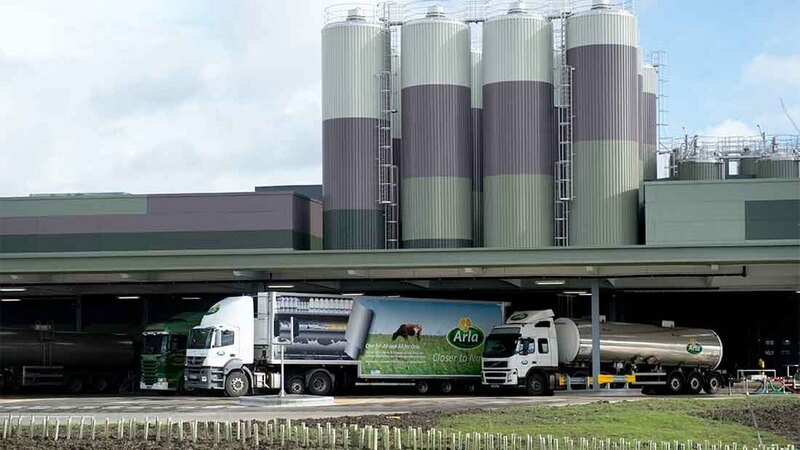 “Arla have been open with their members on their investment strategy going forward. “Last year Defra's official milk price figures for February included the Arla 13th payment which skewed the average milk price upwards.